Eyebrow beauty service is more and more popular all around the world , It is widely used in shopping malls, beauty salons . This is a very trendy service, loved by the majority of people who love fashion beauty . 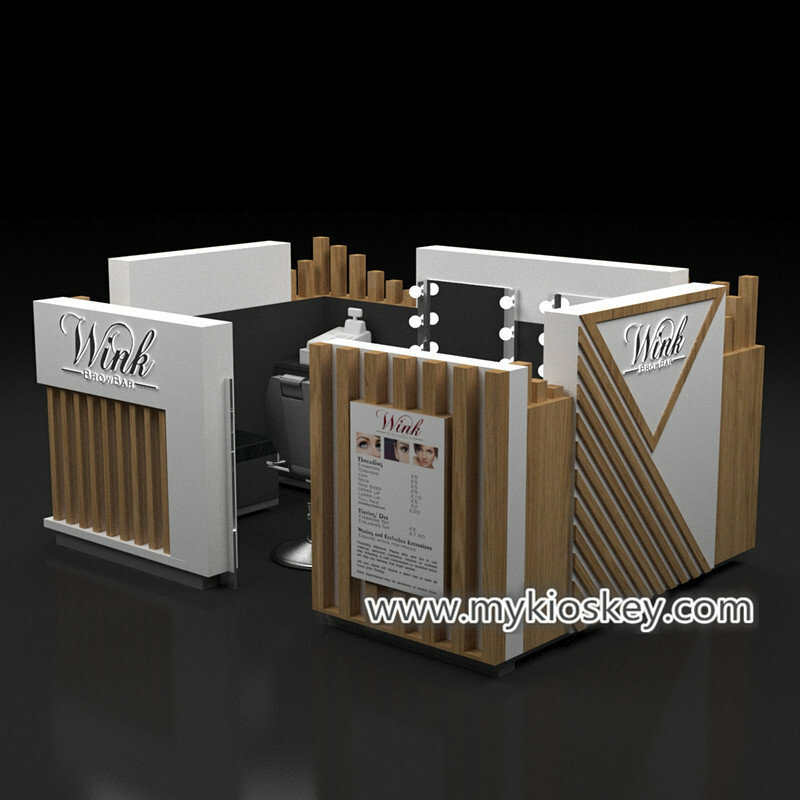 In this article I want to introduce to you is a very classic beauty eyebrow threading kiosk . Whole shop choose Matte purple as dominant tone , match a little white and black , very elegance and high end . 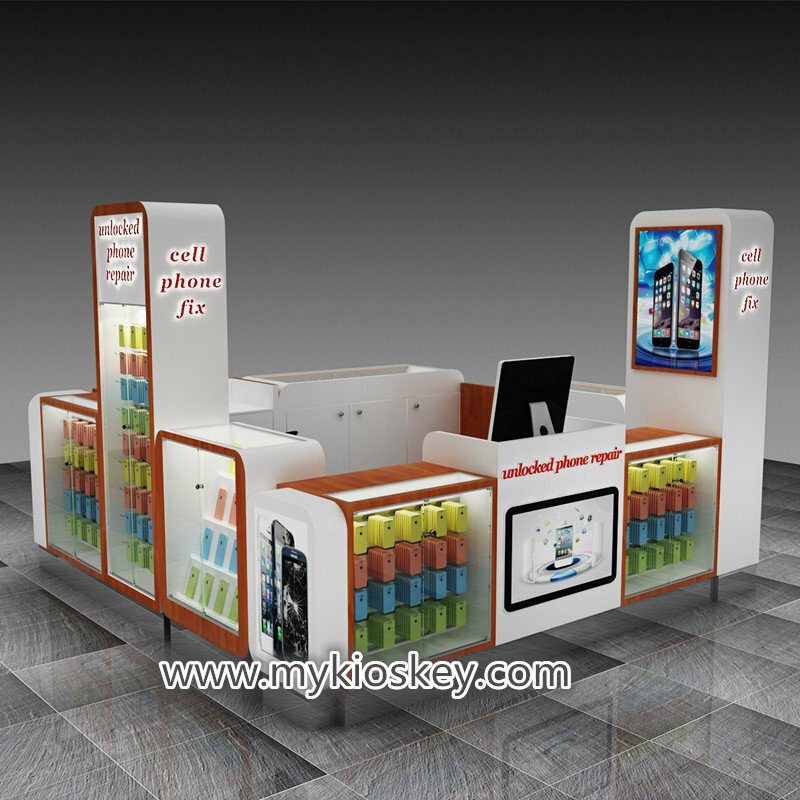 total size of this kiosk is 3m length by 3m width , 2m height . 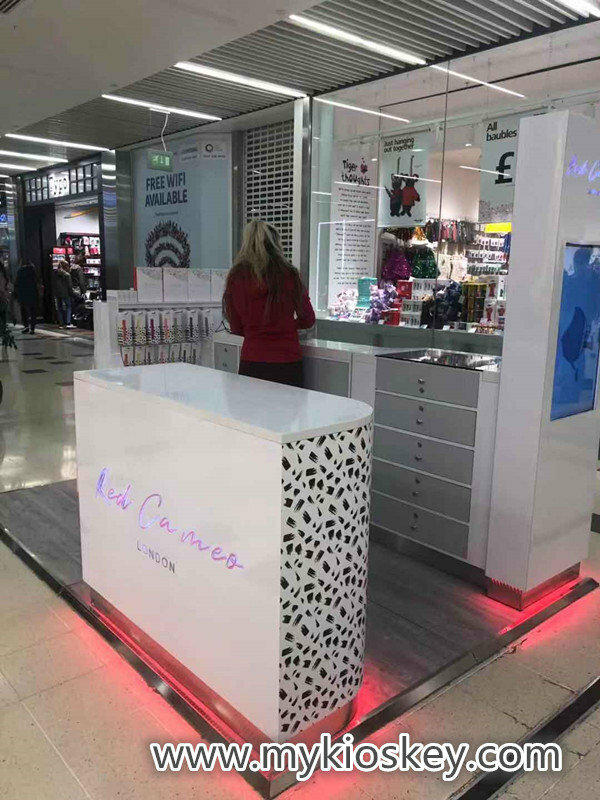 Unlike most eyebrow threading kiosk , this kiosk uses splints as the main material, with a metal square tube glass display window. Surface is laminate finished , because different mall have different Material standards . usually is MDF with 2 PAC baking painting finished . 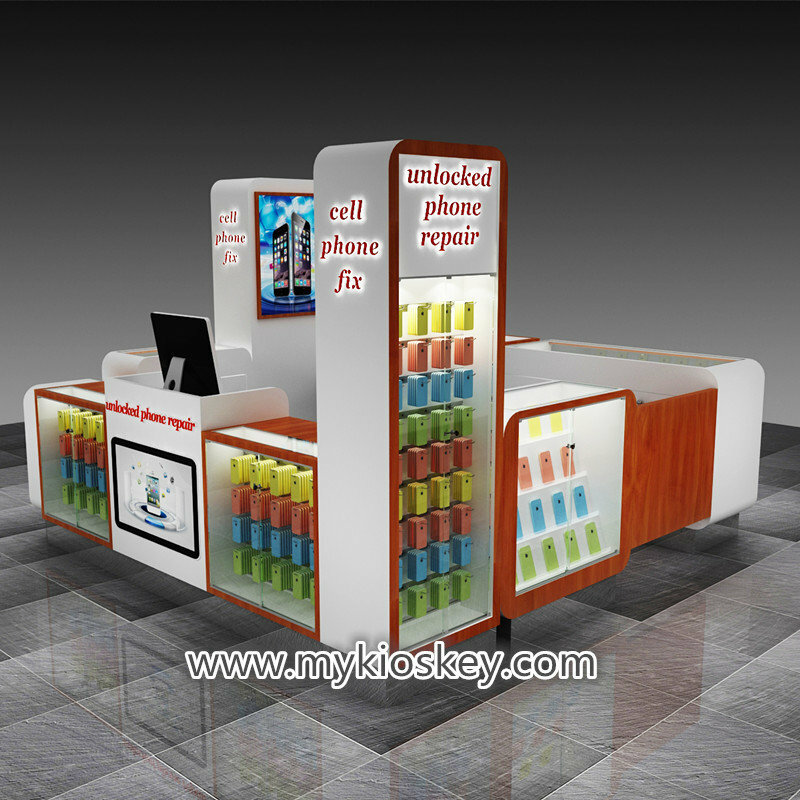 it depend on your needs and the kiosk style . 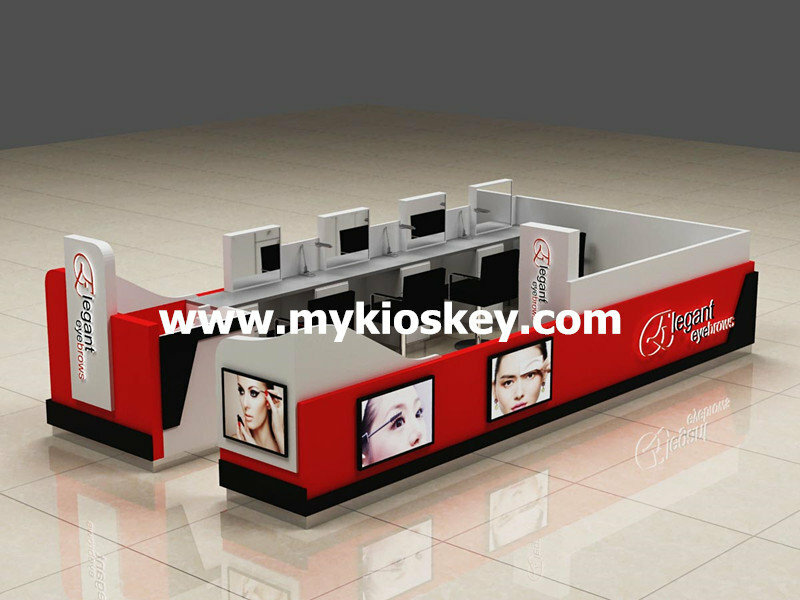 You will notice whole kiosk inside with three eyebrow threading station hold mirror and light box outside . 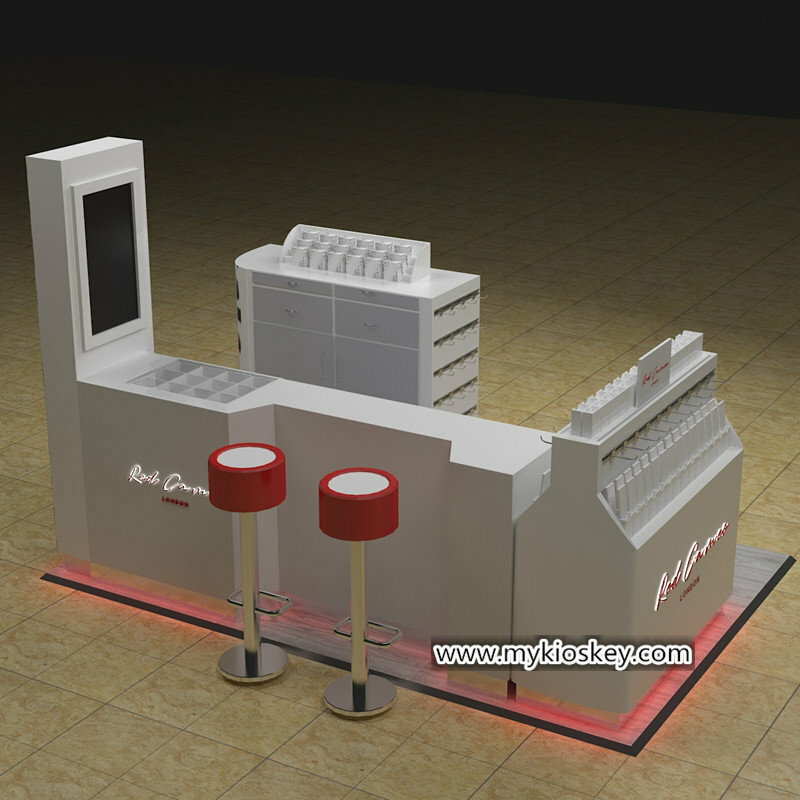 two glass display showcase hidden led light strip , a hand washing sink , a small cashier counter , top with spotlight for Light up every seat , surface with 3d Hollow out luminous acrylic logo . stainless steel skirting with white led light strip . It’s very bright and eye-catching . Thanks for your time and reading , if you need more further info or interested build a eyebrow threading kiosk like this one , pls contact us as below for free , warm welcome inquiry , thank you !